Fast, addictive and adorable. Those are some of the views on the game that we find Limbic App Store. Because if you want to test your reflexes in a quick and entertaining game, take advantage and unburden Nuts! now it is free for a limited time. 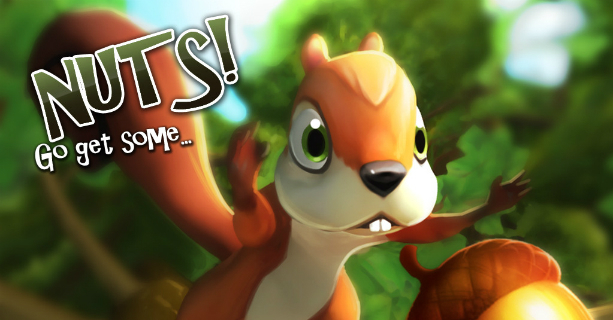 It is a game whose protagonists are two nice squirrels Jake and Miranda calls that need your help to collect as many nuts. To do this, you must climb trees and collect all the coins you find along the way. Temple Run style: you take care to control the character as it runs by itself. The game features up to 40 levels in which you must prove your eyesight and quick reflexes. Simple, but addictive. Another of those games that we love them for their easy motion controls, but funny as they come. It is a free universal app for a limited time. Cheer up and probadla!